“The forums also offer a valuable platform for various associations and professionals to connect and network with the right players. This is especially important as collaboration and partnerships from research institutions to technology, chemical and raw material providers and users are increasingly more critical to business success,” he added. Providing the latest industry insights will be keynote speaker David Allan, Editor, Nonwovens, RISI (United States). His presentation is titled ‘Global Trends in Nonwoven Processes under Economic and Sustainability Constraints’. The 3rd Textile Colourant and Chemical Leaders Forum at ITMA 2019 on 23 June will focus on the circular economy and resource sustainability strategy and how innovation will drive future industry success. 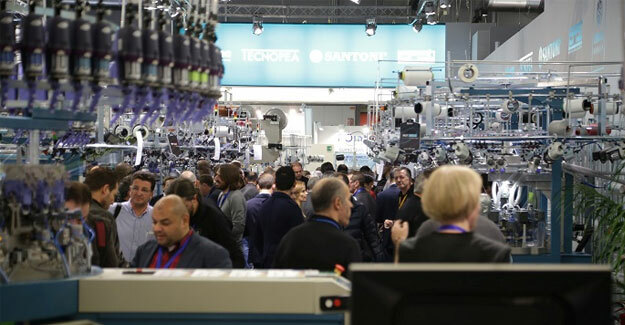 Launched at ITMA 2011, the forum, is an industry initiative that draws lively participation from dyestuff, colour and chemical professionals from around the world. Speakers confirmed for the forum include Christina Raab, Global Implementation Director of The ZDHC Foundation. She will speak on the role of chemistry for circularity in textile, leather and fibre production. She will also elaborate on ZDHC’s approach and tools to drive the transition and uptake of safer and more circular chemistry, as well as the current state and findings of circular implementation projects from the sector. Another speaker is Dunja Drmač, Sustainability Officer of the European Apparel and Textile Confederation (EURATEX). Her presentation will enlighten participants on resource sustainability and relevant strategies in the journey towards a circular economy. Registration for both forums is open at itma.com. Details of other co-located events at ITMA 2019 can also be found on the website. ITMA 2019 will be held from 20 to 26 June at Fira de Barcelona, Gran Via venue. The exhibition will feature over 1,600 exhibitors who will be showcasing their latest technologies and sustainable solutions for the entire textile and garment manufacturing value chain, as well as fibres, yarns and fabrics.